Mr. Yuthasak Supasorn, Governor of the Tourism Authority of Thailand (TAT) said,”The increase in international direct flights will support the ATF 2018 theme of ‘ASEAN – Sustainable Connectivity, Boundless Prosperity’. Chiang Mai is a gateway to the north of Thailand. 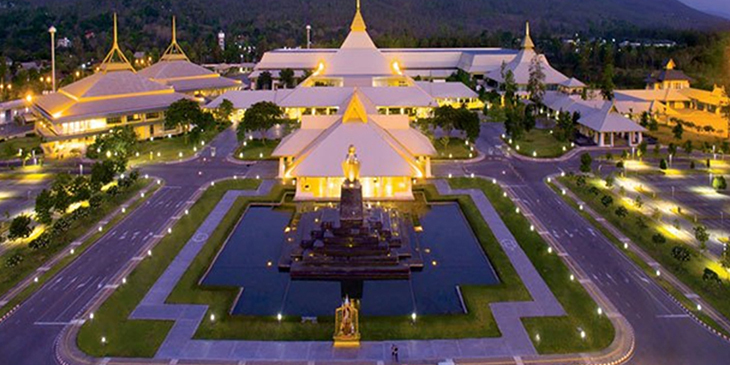 Delegates or tourists can enjoy their time in this northern city, and then continue their journey to other parts of Thailand or within ASEAN via the many intra-regional and international connecting flights available. Mr. Yuthasak also noted that TAT has recently hosted several multi-country ASEAN fam trips, linking Thailand with key commercial capitals around ASEAN, to support intra-regional tourism growth. In 2017, Chiang Mai is on track to welcome a total of 7,614 direct international flights and 567 indirect flights (via major destinations), with almost half coming from China (3,436 flights). The top four cities of origin in China include Beijing and Shanghai (1,022 flights each), Guangzhou (664 flights), Kunming (450 flights), Hangzhou (365 flights) with the remainder originating from Wuhan, Chongqing, Shenzhen, Haikou, Nanjing, Nanning, Qingdao, Xi’an and Chengdu. Other international flights and the country and/or city of origin include: Hong Kong – 1,088 flights, Myanmar – 880 flights, Kuala Lumpur – 837 flights, Singapore – 489 flights, Macau – 365 flights, and from Seoul with 242 flights. *Flight data from OAG. Furthermore, the Bangkok to Chiang Mai domestic trunk route continues to expand to meet the growing demand from Thai and international tourists. Daily flight services from both airports are served by THAI, Thai Smile Airways, Bangkok Airways, Thai AirAsia, Nok Air, Thai Lion Air and other Thailand-based carriers in addition to international direct flights. Chiang Mai is also linked domestically with other major Thai cities including Phuket, Ko Samui, Krabi, Chiang Rai, Pattaya, Surat Thani, Hat Yai and Prachuap Khiri Khan (Hua Hin). Domestic flight services are also available between Chiang Mai and other secondary Thai cities, including Phitsanulok, Tak (Mae Sot), Ubon Ratchathani, Mae Hong Son, Khon Kaen and Udon Thani.